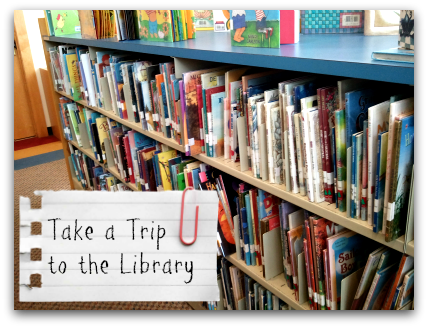 The Dexter District Library is happy to offer the opportunity for school classes, preschools and other organized groups of children to visit the Library for tours, introductions to the resources available in the Library’s collections and Library programs. At the same time, the Library also needs to provide a welcoming atmosphere to all families within our community. In order to provide excellent services to all, the Library has established the following guidelines for groups visiting the Library. Adherence to these guidelines will help the Library ensure continuity of service to all patrons and ensure your group has an enjoyable and positive visit. Plan to schedule your visit at least 2 weeks in advance. The Library can accommodate groups of up to 35 as staffing and library programming allow. Discuss special arrangements for larger groups with us. We can provide library card applications for your group. Applications for Library cards must be returned to the Library no later than one week prior to your group’s visit. We cannot issue library cards for groups at the time of your visit. All children must present a valid Library card, free of fines or other charges, in order to check out materials. Staff cannot loan materials to children who visit the Library without a valid Library card. Please remind parents the day before the field trip to send the Library card with the child. If a child’s card has fines for late, lost or damaged materials, a parent will need to visit the Library in advance of the field trip to clear the child’s record. Parents, teachers or chaperones with a valid Library card may check out materials for children but that individual adult will be responsible for ensuring the materials are returned to the Library and any fines or fees associated with late, lost or damaged items are paid. Please be sure to ask about parking arrangements as necessary. Call if your group will be delayed or if you need to cancel your trip. Groups of children must be supervised at all times. Please plan at least 1 adult chaperone for every 7 children in your group. Chaperones will be responsible for monitoring and correcting individual behavior. Disruptive groups may be asked to end their trip early. Please share the below guidelines with staff, parents, chaperones and students. Follow all instructions and directions from the library staff. Chaperones must turn off or set all cell phones to vibrate. Chaperones should refrain from personal conversations between one another during the visit. Do not disturb others who may be working or reading in the library. Food, drinks, gum, etc. must be disposed before entering the Library. Please enjoy the materials and treat them with respect. Handle them gently and leave them on the tables for the Library staff to reshelve. The Library offers a variety of informative and entertaining program events geared towards children. While larger groups are welcome to attend, these events are presented for the enjoyment of the community at large and individual families will receive priority seating. Groups of more than 10 children must contact the Library at least one week in advance of the program to confirm availability of space. Groups must arrive at least 15 minutes in advance of the scheduled event in order to be seated. Groups arriving after the start of an event will not be admitted. Children must be seated together and with the group chaperones. Chaperones must monitor the behavior of individual children in their charge and remove disruptive individuals. In the case of significant disruptions, groups may be barred from future attendance. Groups will be limited to attending events that do not require registration.